LOTS of thankfulness from this blogger! 1.) I am just thankful for the opportunity to participate in this wonderful community of online teachers! I feel seriously fortunate to have found out about blogger, and been able to get a site up and running! I have gotten SO many great ideas from many of your blogs, and feel like I've made so many friends already out there in cyberspace...and it's only just begun! It is a beautiful thing. 3.) So much of my classroom organization has come from Teri over at A Cupcake for the Teacher. She is such a wonderful, organized, and fun-loving teacher! I absolutely LOVE reading her blog and seeing her creative ideas. I am thankful everyday that she pops up in my feed of new postst! 4.) I absolutely love finding other upper elementary teachers on here and I was so excited when I found Tara over at Fourth Grade Frolics. She was also one of my first blog stalks, and I love reading about her blog, linking up with her, and getting all sort sof great ideas! 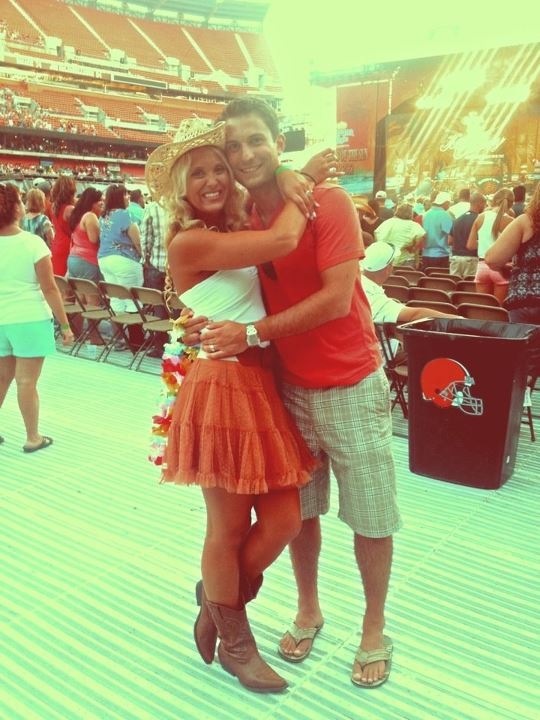 Us at the Tim Mcgraw/Kenny Chesney concert this summer! 2.) My TWO unbelievable families. Seriously people, I feel like I hit the family jackpot. Not only was I raised by two WONDERFUL parents, with an amazing brother and sister, but I married into an another amazing family. I gained a best friend for a sister, a wonderful brother, and two parents who love me as their own. Add in our extended family, and it surely doesn't get any better! 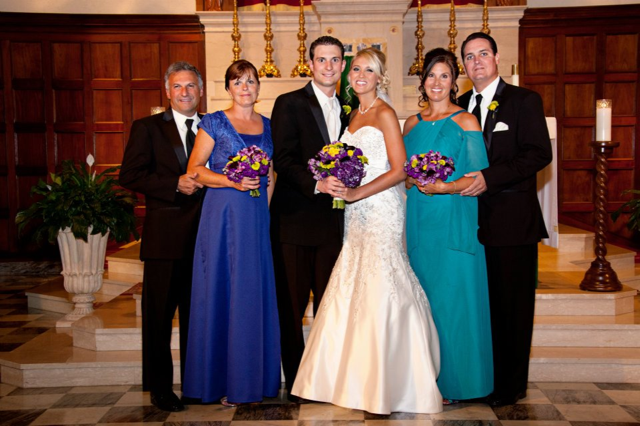 Here is Joe and I with both of our wonderful and supportive parents on our wedding day! They are both models for us on how love and marriage should be. 3.) My close group of friends. Joe and I have been blessed with some rockin' best friends. What's even better, we share a lot of the same friends! 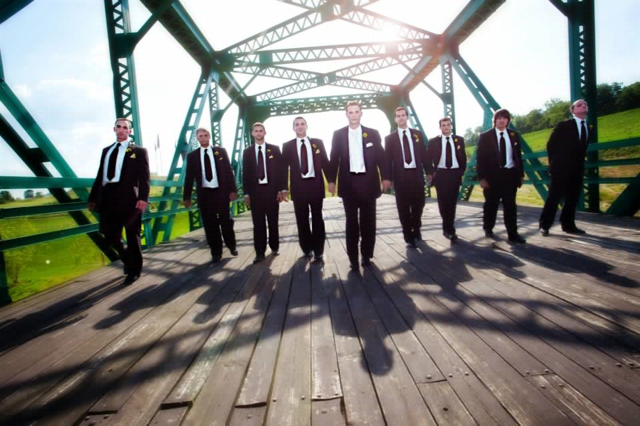 When choosing our wedding party, we were so happy to be surrounded by supportive people! We have friends Thanksgiving, Christmas, and celebrate birthdays together. We have Friday night game nights, and all support each other as coaches, teachers, or whatever job we do. 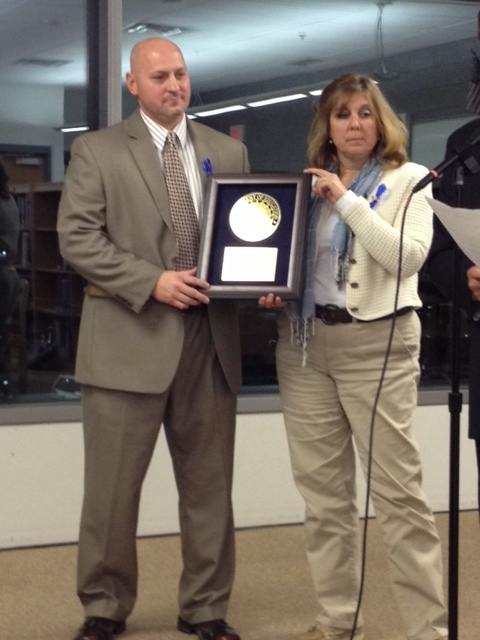 Here's our principal Steve, and one of our teachers, Tami receiving the award and last nights board meeting. Here is my awesome high school team! Thank you so much for linking up :) You sure do have a lot to be thankful for this year. Congratulations on your wedding..the pictures look beautiful!